Our family of built communities are unique expressions on how we want to live. Progressive urban villages that brings us closer to the city and to each other. Ranch neighborhoods with an abundance of space, parks and outdoor living. Innovative Farm-to-Table communities that grow with us in natural and healthy ways. Lock-and-leave living that gives us more freedom and less maintenance. Each community is a collection of thoughtful decisions on how we want to live with our home and with each other. Everything from the location, architecture and community amenities are carefully selected and designed to work together to not only build a better home, but a better life. Explore our collection of past projects below. Sage is a collection of 73 Park homes featuring single-family residences within The Cannery, the award-winning master planned community in Davis. The luxury residences feature floorplans ranging from 1,943 to 3,702 square feet of living space and showcasing up to six bedrooms and five bathrooms. The community opened in August 2015 with pricing from the Mid $700,000’s. Sage also received the prestigious "Community of the Year" honor at the 2016 MAME Awards presented by the North State Building Industry Association. Chaparral is a collection of 72 single-family residences in the celebrated master-planned community of Blackstone in El Dorado Hills. The residences range from 1,944 to 2,422 square feet of living space with up to 5 bedrooms. The community opened in June 2015 and was awarded the prestigious Community of the Year at the 2015 MAME Awards presented by the North State Building Industry Association. Pricing began from the Mid $400,000s. 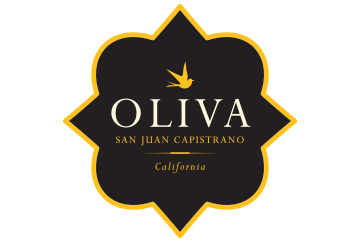 Oliva is a limited hillside collection of 40 estate-style homes that embraces the city’s signature architectural style with residences ranging from 3,900 to more than 5,300 square feet of living space. The luxury neighborhood includes panoramic views of rural hillsides, foothills, and working ranches as well as distant Pacific Ocean vistas. The community opened in March 2015 and was awarded the prestigious Community of the Year at the 2015 SoCal Awards. Pricing began from the High $1 millions. 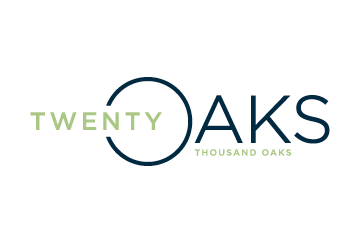 Twenty Oaks is a gated and intimate enclave of 20 spacious single-family homes in Thousand Oaks. The luxury homes at Twenty Oaks range from approximately 2,900 square feet to more than 4,000 square feet on homesites averaging 14,000 square feet with spectacular views of the Santa Monica Mountains. The homes showcase three to four bedrooms and up to four- and one-half baths. The community opened in April 2015 and pricing began from the Low $1 millions. Trevi at Orchard Hills represents an extraordinary opportunity to reside in a naturally secluded, European-inspired hilltop estate high above the countryside and adjacent to a working orchard. 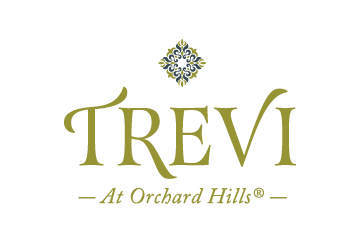 Trevi presents among the largest residences in Orchard Hills, with designs featuring up to eight bedrooms and eight and one-half bathrooms and up to approximately 6,937 square feet of new home luxury. The community opened in May 2014 with pricing from the Low $2 millions. 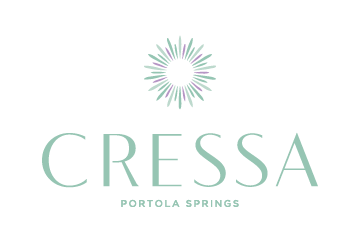 Cressa is a collection of 95 single-family residences located in popular master-planned community of Portola Springs in Irvine. The spacious homes feature floorplans with up to 3,021 square feet of living space and up to five bedrooms and five bathrooms. Cressa offers easy access to award-winning schools and community amenities including pools parks, trails and recreation centers. The community opened in February of 2016 with pricing from the Mid $900,000s. 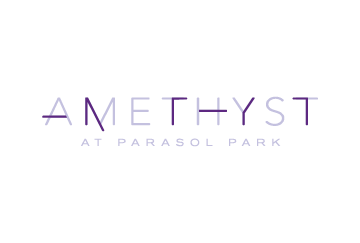 Amethyst offers an exciting path for all walks of life. Set within Parasol Park, the 54 paired homes feature up to 2,197 square feet of living space and up to four bedrooms. Select homes at Amethyst feature NEW HOME’s unique Life Space options including the Flex Suite. The neighborhood opened in January 2017 and pricing began from the $600,000s. 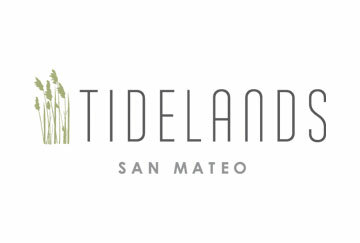 Tidelands is a collection of 76 contemporary condominiums overlooking the San Francisco Bay in San Mateo. The single-story, luxury flats feature floorplans with up 1,645 square feet of living space and up to three bedrooms and two bathrooms. Residents are also able to enjoy an onsite Club Room and Fitness Center. The community opened in August of 2017 with pricing from the Mid $800,000s to Low $1 Millions. 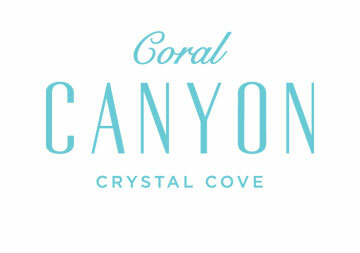 Coral Canyon is a coastal, hillside community of 28 Mediterranean-inspired residences designed by Bob White. The homes range from 3,782 to 5,290 square feet of living space and offer dramatic hillside panoramic views as well as ocean vistas. Pricing began from the $4 millions and represented the final opportunity to own in Crystal Cove. The community launched sales in June and was sold out within a year. 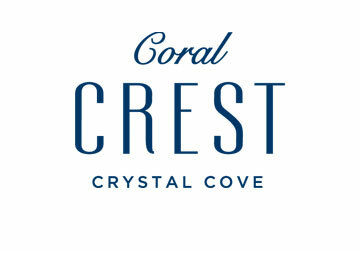 Coral Crest is coastal community of 27 Mediterranean-inspired designed by Robert Hidey Architecture. The homes range from 4,973 to 7,409 square feet of living space and offer dramatic panoramic Pacific Ocean vistas. Pricing began from the $5 millions represented the final opportunity to own in Crystal Cove. The community launched sales in June and was sold out within a year. 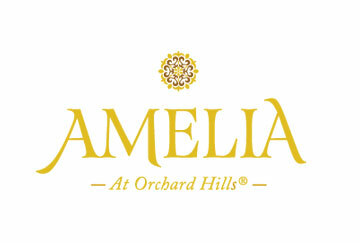 Amelia is a community of European-inspired estates located in the beautiful master- planned community, Orchard Hills. The contemporary, Mediterranean homes feature floorplans with up 5,234 square feet of living space and up to seven bedrooms and seven and one-half baths bathrooms. The community opened in May 2014 with pricing from the high $1 millions. 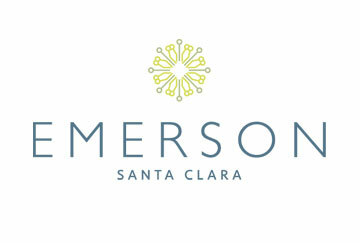 Emerson is a community of 33 three-story townhomes located in the popular southeast corner of Santa Clara. 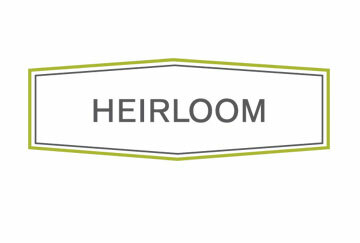 The homes range from 1,454 to 1,907 square feet of living space with pricing beginning from the mid $900,00’s. The community launched a pre-sale program in January 2017 and sold out that June. The Landing East is a community comprised of 33 contemporary townhomes within the popular city of Fremont. The homes at The Landing East feature floorplans ranging from 1,528 to 1,916 square feet of living space with up to 3 bedrooms and 3.5 baths. The community Grand Opened in June 2016 and pricing began from the Low $800,000s. Woodbury is a thoughtfully designed community of 56 homes located in the heart of Lafayette in San Francisco’s East Bay. The community boasts two distinct residential offerings – Garden Flats and Terrace Flats – with homes ranging from 1,111 to 3,000 square feet and pricing starting in the low $800,000s. Woodbury celebrated its Grand Opening in May 2015 and was honored as the 2016 Community of the Year by the Bay Area Building Industry Association. Orchard Park is a thoughtfully designed community of 239 homes located in the Berryessa District of San Jose. The community boasts three distinct neighborhoods -TOWNS, COURTS and FLATS – with residences ranging from 1,622 to 2,147 square feet and pricing starting in the low $700,000s. Orchard Park celebrated its Grand Opening in October 2014 and was honored as the 2015 Community of the Year by the Bay Area Building Industry Association. 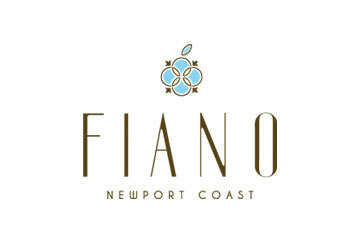 Fiano is the final enclave ever to be built within the Pacific Ridge master-planned community in Newport Coast. The 39 Tuscan-style luxury estates at Fiano are inspired by the classic villages of Italy and feature up to 5,322 square feet of living space, 8 bedrooms and 8.5 bathrooms. The community celebrated its Grand Opening in May 2015 and was entirely sold by January 2016. Fiano was also honored as 2015 Community of the Year. Pricing began from the Mid $3 Millions. 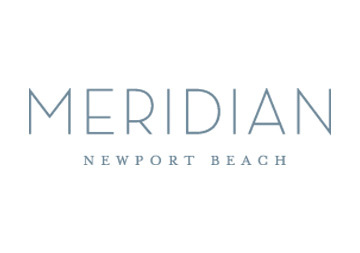 Meridian is a collection of lock-and-leave coastal residences situated in Newport Beach. Meridian’s three product types – flats, townhomes, and penthouses - feature floorplans ranging from 2,172 to 3,833 square feet of living space. At the time Meridian opened for sale in early 2014, prices for these residences began in the mid $1 Millions. The community celebrated its model grand opening in December 2014. Meridian was entirely sold out in December 2015 with its final homes priced over the mid $2 millions. Sherman Oaks 7 is a community comprised of seven single-family detached residences within the desirable San Fernando Valley. The homes at Sherman Oaks 7 feature seven distinct floorplans ranging from 2,847 to 3,431 square feet of living space with up to 5 bedrooms and 5.5 baths. Pricing began from the Mid $1,000,000s. Candela 10 is a community comprised of 10 single-family detached residences within the Natomas area of Sacramento. The homes at Candela 10 feature three varying floorplans ranging from 1,553 to 1,809 square feet of living space with up to 4 bedrooms and 2 baths. Pricing began from the High $200,000s. Villa Metro is a community of four distinct neighborhoods – Aqua, Terra, Sol & Cielo – located within the master-planned community of Valencia in the Santa Clarita Valley. Villa Metro’s contemporary Mediterranean-inspired homes ranged from 1,099 to 2,361 square feet with pricing starting in the $300,000s. Villa Metro celebrated its Grand Opening in August 2013 and was honored as the 2013 Community of the Year. Rose Lane is a community of three unique products in downtown Larkspur - Garden House, single-family homes; The Terraces, age-restricted condominiums; and the Cottage Homes. Rose Lane celebrated its Grand Opening in October 2013 and was honored as 2014 Community of the Year. Pricing began from the $1 Millions. 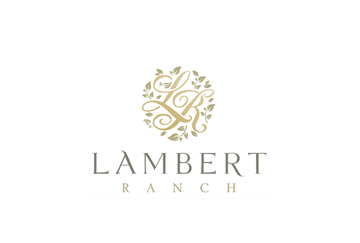 Lambert Ranch is a community of three distinct, but connected neighborhoods – The Field, The Hill and The Grove. Lambert Ranch’s private single-family homes feature flexible floorplans with up to 5,182 square feet of living space. Pricing ranged from the high $800,000s to over $1.3 Million. Lambert Ranch celebrated its Grand Opening in April 2012, selling 21 homes within the first two weeks. 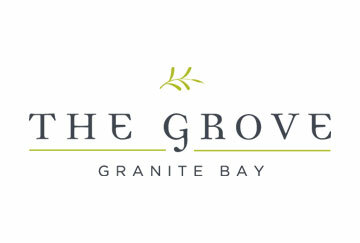 The Grove is an intimate enclave of residences situated within the natural beauty of Granite Bay. The community blends handcrafted Mediterranean architecture and progressive floorplans with a contemporary California style, featuring up to 3,819 square feet of living space, 5 bedrooms and 4.5 baths. The Grove celebrated its Grand Opening in June 2014 and was honored as 2014 Community of the Year. Pricing began from the $900,000s. Meadows is a neighborhood of single-family homes within The Parkway in Folsom. The homes at Meadows offer fresh, new designs ranging from 2,061 to 2,375 square feet of living space with up to 4 bedrooms and 3.5 baths. Pricing began from the low $400,000s. Meadows celebrated its Grand Opening in Fall 2013. Olive Ranch is an enclave of just 12 custom-quality residences in Granite Bay. The homes at Olive Ranch offer spacious and open floorplans ranging from 3,700 to 4,500 square feet with up to 6 bedrooms and 6.5 baths. Pricing began from the mid $800,000s. The Collection: Granite Bay is an intimate neighborhood of just 17 custom-inspired residences in Granite Bay. The residences’ sophisticated architecture feature spacious single-story and two-story floorplans with up to 3,700 square feet of living space. Pricing began from the low $600,000s. The Collection: Granite Bay opened in July 2011. The Collection: Trails at Folsom is a neighborhood of single-family detached homes located within the award-winning master-planned community, The Parkway. The homes feature up to 2,200 square feet, 4 bedrooms and 3 baths. Pricing began from the mid $300,000s. The Collection: Trails at Folsom celebrated its Grand Opening in July 2012.